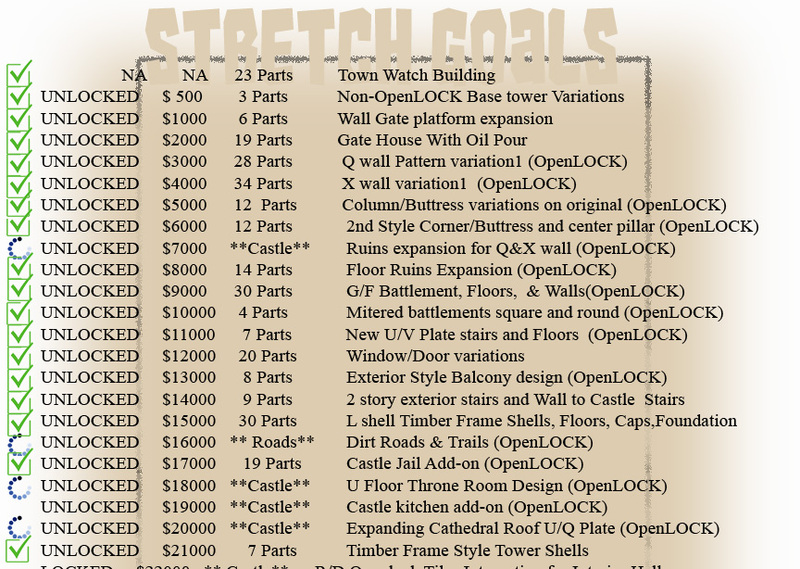 We are moving along on the Citadel Kickststarter Campaign Stretchgoals. We now have five left! we are looking forward to letting the hair down and cutting loose on our next batch of stretchgoals. This will include dirt roads, ruins, and a U plate Castle Roof system. There is still a lot of new stuff coming for your 3dprinting stock pile and gaming terrain shelf.